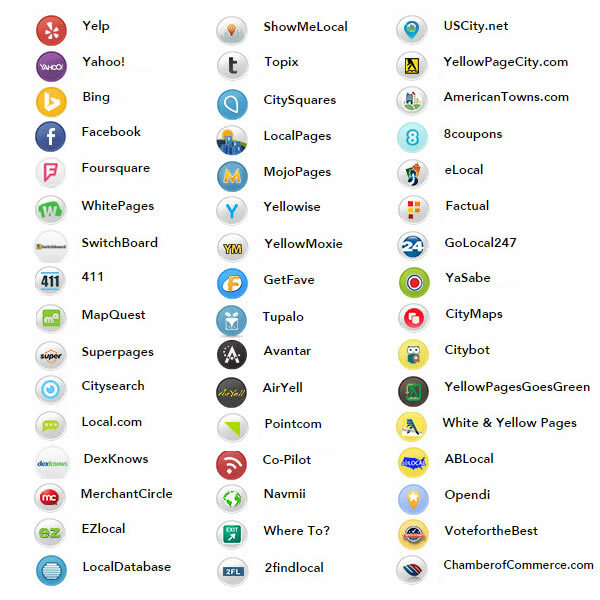 Keep your business verified and updated on 50+ business directories including Yelp, Yahoo, Bing, Mapquest, Foursquare, 411, Citysearch, White Pages, YellowPageCity.com, Dexknows, Superpages & more. Great for businesses that want to show up in Voice activated searches from iPhone and Androids. This service allows you to post your restaurant menus, coupons and specials. Are your business listings telling the truth about your business? How does your business look across local directories? Are you being seen the way you want? Are you where you want to be? Use our Free Scan tool to find out how you're being represented. Purchasing: What you can expect. An Account Manager will call to review your purchase. Expect a call within 24 hours of normal business hours. Your purchase will be assigned to a Setup Specialist. Following a quick review your setup will begin. Includes training to learn how to make updates. More information is detailed in the sections below. Don't be left behind! 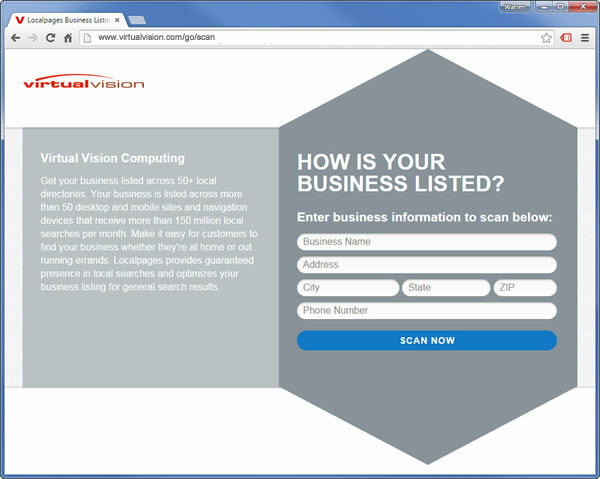 Virtual Vision offers Directory Marketing Business Listings Submissions. Get your business listed in +50 directories. 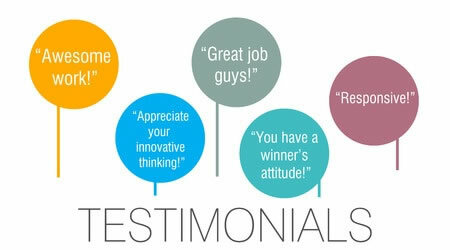 Virtual Vision sells Directory Marketing Business Listings Submissions.